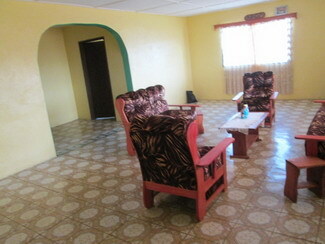 Ma Esther and her Children are in their NEW HOME! 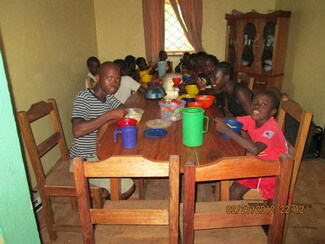 What a Happy Day for Ma Esther and her children! They are ALL so thankful! The Children standing outside their former place. A photo of their new home. Everyone has a place at this “BIG” Dining Room Table. A Spacious Family Room. 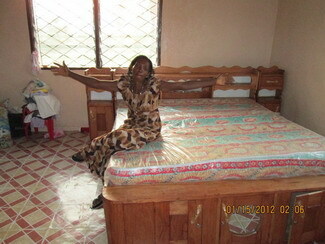 Ma Esther sits on her new bed thanking God. Lucy cannot stop smiling, she is so happy. BEFORE everyone slept crowded on the floor. 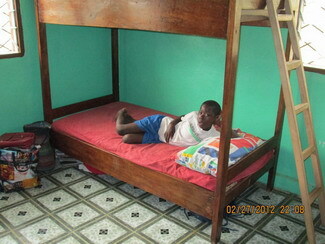 TODAY they all have NEW BEDS!!! 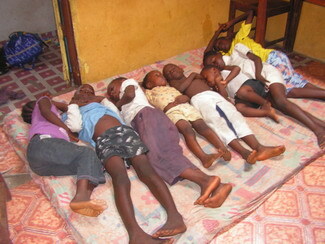 BEFORE, many times the children would get sick. 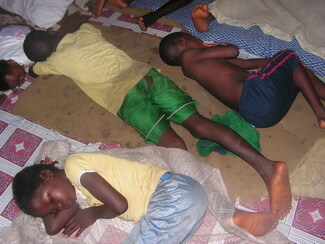 Off the floor and in warm beds they will sleep well and stay healthy. 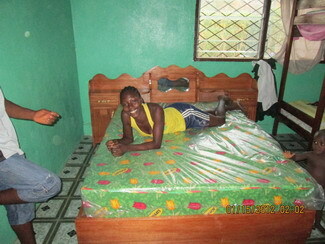 Everyone has new blankets, pillows and mosquito nets. They have two bathrooms, a beautiful kitchen and even an office. 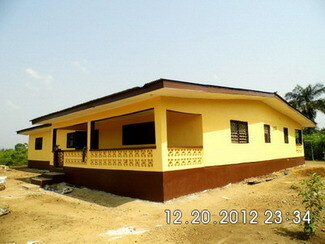 We are so pleased at the workmanship of this home. It is well built. Lucy with her son David. 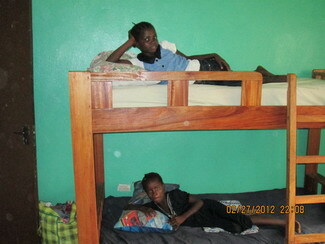 Eletha on the top bunk with Pauline on the bottom. Ma Esther is shopping for curtains for the entire house. 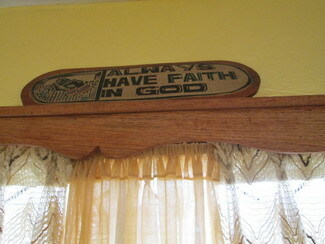 She is known to ALWAYS HAVE FAITH IN GOD! 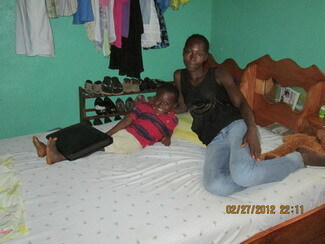 Ma Esther and her children send a Big Heartfelt thank you to all the people who made this day possible! 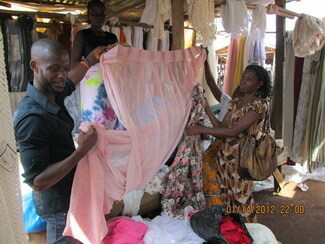 Thank you to the people who donated at Raise the Roof in May 2011. That night you raised $25,000!! Thank you to the Dr. in Victoria, who felt led to donate $8,000, but does not want us to mention his name. Thank you to ALL THE INDIVIDUALS who added to the extra we needed. Thank you to LIFE WATER CANADA for the well you dug. Thank you to G & E Homes in Steinbach, MB for your generous donation. 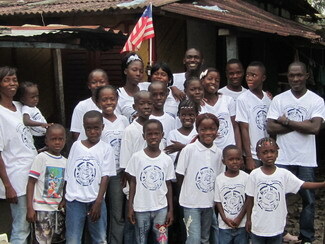 Thank you to our dedicated people in Liberia, and the contractors who put in so many hours of work. God knows you by name, and I pray He will repay you for your kindness to these beautiful orphan children! How great is our Daddy to provide such a gift through many who have His heart. Karen Barkman, thank you for the difference you are making and the example you are. So wonderful! It’s great to see how well they’re doing. Thank YOU Karen for being such a faithful servant. Love you. How wonderful to know I’ve played a little part in it. Thank-you for sharing these lovely photos. Thank you for taking the time to post! So encouraging! Thank you too for YOUR part!! Blessings!!!!! !